It may not look like it today, but the northern part of what is now the Netherlands, especially the provinces of Groningen and Fryslân, were once a monastic heartland. Much of the land reclaimed from the sea was the result of the work by monks or promoted by them. They established massive monastic complexes, of which the town of Aduard is perhaps among the best known. One of the monasteries was Oldeklooster (which simply means ‘old monastery’) near the village of Feldwerd, near the shores of the Dollard sea arm. This was established by a man named Hathebrand (although the second ‘h’ in his name is sometimes omitted). Hathebrand’s monastery housed both male and female religious and, after a difficult first start, which, the story goes, even included one or more attempts on the life of its founder, the monastery flourished. Hathebrand went on to establish two more monasteries: Merehusen in East Frisia (now northwest Germany) and Thesinge or Germania in the vicinity of the city of Groningen. According to monastic records, Hathebrand died on 30 July 1183. In 1594 the fortunes of the monasteries turned. The city of Groningen, which controlled much of the lands surrounding it, fell to the forces of the Dutch republic and quickly became Protestant. The Catholic faith became illegal and the monasteries fell empty. Over time, they turned into ruins which were later demolished. In the countryside of Groningen, there is very little that remains of the once ubiquitous religious foundations. The remains of Hathebrand, by then deemed a saint, were moved to the Catholic south, ending up in Antwerp. 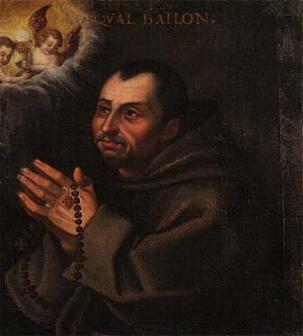 While the north forgot about him, in what is now Belgium he was venerated as a saint and helper in need. The Belgian town of Mortsel still has a street named after him. The relics of Saint Hathebrand found a final resting place in the church of Kortrijk-Dutsel. And there the story ends. Until recently. “He had stopped hoping. Edze de Boer from Uithuizermeeden is almost 92 years old, and has been looking for Saint Hathebrand for more than fifty years. Last March he received a letter from the parish council of Kortrijk-Dutsel. Today, those few remains returned home. Not to Hathebrand’s monastery, which is long gone, but to the dwelling mound of Feldwerd, and then to the church of Krewerd, for a public presentation, including a look back on Mr. de Boer’s search for the long-lost saint, medieval organ music, an address on the rediscovery of the saints following the restoration of medieval churches and the related study of medieval church interiors, and a brief word by Catholic priest Fr. Arjen Jellema. Saint Hathebrand’s return is a temporary one, however. After a brief visit to his native lands, Hathebrand will return to Belgium. “On Monday afternoon, 5 March, I was in Manchester (Stockport), on an official pastoral visit to my fellow brothers. On the evening before I had extensively spoken with the Sacred Heart priests (Dehonians) about the young Friedrich Engels and the suffering of the workers in the Manchester textile mills, as well as the successes of football club Manchester United. I had had a good breakfast that morning, and the short homily I had prepared about the Syrian Naaman, from the second book of Kings, was also ready for the 9:30 Mass. I wanted to speak about the God of surprises and that things could turn out different from what one expects. There was a note with a strange phone number from Germany on my desk, with a cryptic name, half-Italian, half-German. “Signore Heinz-Guntr asks you to ring him back”. At first I wanted to leave it, as I dislike ringing back strange numbers without reasonable names. But then I thought, let’s just call back quickly, and have it done with. And then everything changed completely. On the other end of the line was auxiliary Bishop Heinz-Günter Bongartz. Even though I had not met him before, his northern German tongue was immediately familiar to me. After a brief introduction he came to the point: “Dear Father Wilmer! The cathedral chapter of Hildesheim has elected you as new bishop. The Holy Father sent us your name in a list of three. We ask you to accept the election.” – “What? Just a moment. This can’t be true. I am a man of the Order. Three years ago I was elected as superior general of our order. I promised the brothers to give my best for the next six years…” Oh well, a lot could be said about this. In short: I told him that I needed time. I didn’t understand any of it. I let Monday pass, and Tuesday as well. On Wednesday morning, at five a.m., I wrote a letter to Pope Francis. I was in Dublin by then. Also on a pastoral visit. I wrote the Pope that the Diocese of Hildesheim’s trust in me moved me, but that it troubled me to have to leave my brothers during my time in office. I also asked for his paternal counsel. In the course of the afternoon I sent the letter to the Congregation for Bishops. There they told me that Cardinal Ouellet would personally give it to Pope Francis in three days, and that I could expect a response in five to seven days. The appointment of Bishop-elect Heiner Wilmer was announced at noon today. 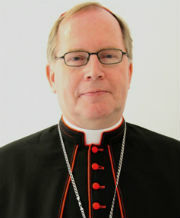 He succeeds Bishop Norbert Trelle, who led the Diocese of Hildesheim for 12 years until his retirement in September of last year. In a rare occurance, the choice did not fall on a priest or bishop from Hildesheim or one of the other German dioceses. The new bishop, although a native German, comes to Hildesheim from Rome, where he worked as Superior General of the Congregation of the Priests of the Sacred Heart, also known, after their founder, as the Dehonians. This order is focussed on working for the poor and the young, using “education, social work, missions, spirituality and media to announce the kingdom of God.” They live in communities where Adoration of the Blessed Sacrament plays an important part. Heiner Wilmer was born on April 9 1961 (his appointment comes three days before his 57th birthday) in Schapen, a town of some 2,000 inhabitans in the Emsland, Diocese of Osnabrück, which borders Hildesheim to the west. In 1980, Wilmer entered the Congregation of the Priests of the Sacred Heart, spending his novitiate in Freiburg im Breisgau. He made his permanent vows in 1985. Preparing for his ordination to the priesthood in 1987, he studied theology in Freiburg and Romanistics in Paris, receiving his pastoral formation in St. Peter’s seminary in Schwarzwald. As a priest, Fr. Heiner remained devotied to his studies. He studied French philosophy in Rome from 1987 to 1989, received a promotion in fundamental theology in Freiburg in 1991, studied history there from 1991 to 1993, concluding it with his first state exam in history and theology. From 1993 to 1995 he worked as a teacher in training at the Windthorst Gymnasium in Meppen. After his second state exam, he was a full-fledged teacher at the Liebfrauenschule in Vechta. In 1997 and 1998, Fr. Heiner worked as a teacher of German and history at the Fordham Preparatory School of the Jesuit High School in the Bronx, New York. From 1998 to 2007 he led the Gymnasium Leoninum in Handrup, a private Catholic school run by the Dehonians. 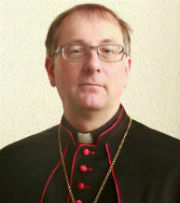 In the latter year he was appointed as provincial of the German province of his order, seated in Bonn, and in 2015 he was elected as Superior General of the Dehonians, relocating to Rome. Hildesheim’s 71st bishop is a man of learning, and of the world. “An open ear. That is the most important to me. I want to listen, to understand, to enquire. The old tradition of the “Sh’ma Israel” (Hear, Israel!) has characterised my religious life from the beginning. From his time in Rome, where he lived with 61 from 20 countries he brings a confidence in the other and an eye for strangers in a strange land. Bishop-elect Wilmer will be the fourth German bishop who is a member of a religious order. He joins Bishops Gregor Maria Hanke of Eichstatt and Dominicus Meier, auxiliary of Paderborn, who are both Benedictines, and Bishop Stefan Oster of Passau, a Salesian. The consecration and installation of the new bishop will probably take place in September, but an exact date is yet to be announced. With today’s appointment, all vacant dioceses in Germany are filled again. But this is not a situation that is not likely to last long. In Fulda, Bishop Heinz Josef Algermissen turned 75 in February, and his already sent his resignation to Rome. “We have found a home. Looking for a location to establish a monastery on Schiermonnikoog we came across the Rijsbergen inn, a centuries-old building on the edge of the village. We were shown around and were impressed. Of all the locations on the island the inn gradually presented itself as the place for us. And so our years-long search for a monastery culminated in Rijsbergen inn, a wonderful opportunity with which we are very happy. The inn will remain as such until 15 January 2019, after which we hope to move in quickly. Its name will simply by ‘Schiermonnikoog monastery’. After the building has been furnished, also with its own chapel, we hope to open our doors for candidate monks, guests seeking solitude in the guest house and visitors of our services. We are very grateful for the success of our search, and we wish to thank everyone who has supported us in any way. The Cistercian monks have been on the island for more than two years. Five of them have been living in a house not far from the site of their future monastery. Their original plan to build a new monastery in the dunes outside the village was abandoned after they found that it led to a debate among the villagers. They decided to completely rethink their future, with the caveat that they did not wish to leave Schiermonnikoog. This morning they signed the contract for the sale of Rijsbergen, now a hotel with 17 rooms. It advertises itself as a homely and honest hotel, humbly admitting that their double rooms are not very big and that no room comes with a television – a conscious decision. Rijsbergen was built in 1757 as the home of the Stachouwer family, who owned the island of Schiermonnikoog. In 1858 the family sold it to lawyer John Erick Banck from The Hague, who owned the island until 1892 (he initiated land reclamation works with room for seven new farms and establised the sailors’ school). The island and house then fell into the possession of the German noble family Von Bernstorff (one of the major hotels on the island still bears their name). Following the Second World War, Rijsbergen came into the possession of the Dutch state. The building was then used as a school and inn, and its upkeep was rather neglected. Remaining of the original building are the front and the main house’s rooftop. The building has been owned by its current owners since 1992. A – hopefully temporary – setback for the four Cistercian monks on Schiermonnikoog, as they decided to abandon their building plans for a new monastery. Initially, as I wrote before, the plans for a low building with a single light tower was met with approval by the island’s inhabitants. The monks cite “serious and harmful division” caused by the plans as the reason to abandon them. Since their arrival in early 2015, the monks have expressed no greater wish than to be able to live in peace with the population of Schiermonnikoog. Over the course of the past years they have endeavoured to introduce themselves to the people and be as open as possible about their plans. That is why the building plans were not even formal yet when the monks abandoned them just before Easter. The change of plans does not mean that the monks plan to leave the island. Soon they will be looking at alternate plans – and possibly an alternate location on the Island as well. It took thirteen months, an almost unprecented long time, but the Diocese of Groningen-Leeuwarden will soon have a bishop again. The Apostolic Nuncio, Archbishop Aldo Cavalli, had already stated that the name would be known before Easter. With tomorrow being the fifth Sunday of Lent, he was cutting it a bit close. The long time between bishops gave rise to some speculation and rumours, which I wrote about here. These speculations will undoubtedly continue now that there is a new bishop. Many will choose to see the selection, which was ultimately made by Pope Francis, in political terms: the new bishop is either a man in the vein of the Holy Father, which means he is a pastoral figure with an eye for the people instead of the law; or he fits the mold of Cardinal Eijk, which means he is a dogmatic, a stickler for rules. Reality, as often, is more nuanced. The new bishop comes from the south, and thus, in a way, makes the opposite move than his predecessor, who went from Groningen-Leeuwarden to ‘s-Hertogenbosch. From that later see comes its vicar general, Msgr. Ron van den Hout, to take over the reins of this country’s most northern diocese. Bishop-elect Van den Hout is 52, not extraordinarily young or old when compared with his predecessors. He has been vicar general of the Diocese of ‘s-Hertogenbosch since 2012. He was ordained to the priesthood in 1993, studied in Rome and Nijmegen, and most recently taught Bible studies at three seminaries, in addition to serving as temporary pastor in the Bommelerwaard region, in the north of the diocese. The new bisdom inherits a diocese wich, in some ways, is a work in progress. In the eight years (from 2008 to 2016) that Msgr. de Korte was ordinary, the diocese underwent a process of change which saw the number of parish decrease from 84 to 19. While the previous bishop made it policy to maintain the old parishes as communities in the new larger parishes, it is up to the new bishop to see the process to its conclusion and his choice to keep Bishop de Korte’s vision intact or adapt it as he sees fit. With one parish, which includes the cathedral in Groningen, exempt from the mergers, only two new parishes are awaiting establishment, while a third is already merged, but will see one more old parish join at a later date. The entire process is expected to be concluded by 1 January 2018. In the years that Bishop de Korte led the diocese, the number of religious establishments within its boundaries tripled. A relatively large increase, in absolute numbers it is perhaps somewhat less impressive: from one to three. In addition to the shrine of Our Lady of the Garden Enclosed in Warfhuizen, which is under the care of hermit Father Hugo, the Holy Ghost Fathers have established themselves in Heerenveen, while the Cistercians from Sion Abbey are working to build a monastery on the island of Schiermonnikoog. Bishop de Korte actively encouraged this trend, and his successor could do worse than do likewise. The Diocese of Groningen-Leeuwarden is one of the two youngest in the Netherlands, having been established in 1955, it is the second largest in size, and the smallest by number of Catholics (a little over 100,000, of whom some 10% attend a Mass or celebration over the course of one weekend)*. It covers the three northern provinces of the Netherlands (Fryslân, Groningen and Drenthe) as well as the northern third of the province of Flevoland. Its population varies from traditionally left-wing in the former Communist stronghold of eastern Groningen, to traditionally Catholic along the German border from the southeastern tip of Groningen to the south of Drenthe. Major cities are few, but include the university city of Groningen, which is also home to the cathedral of St. Joseph and the diocesan offices (relocated there by then-Bishop Willem Eijk, bishop from 1999 to 2008). Catholic faithful are clustered in various places, but in general the parish, especially in the countryside, are expansive. Coupled with a relative low number of priests this means that clergy has to be able and willing to travel. Bishop van den Hout Will be the fifth bishop of the Groningen-Leeuwarden. Two of his predecessors are still active: Cardinal Willem Eijk as archbishop of Utrecht, and Msgr. Gerard de Korte as bishop of ‘s-Hertogenbosch. Bishop Hans van den Hende of Rotterdam is a former priest and vicar general of the diocese, and his immediate predecessor, Msgr. 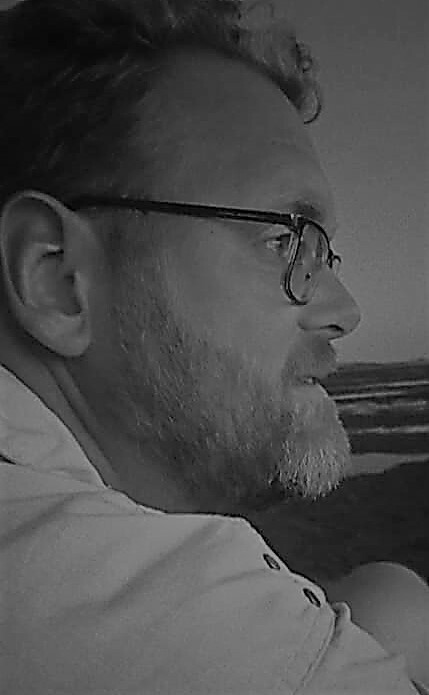 Ad van Luyn, was born in Groningen. In the past eleven months, since the installation of Bishop de Korte in ‘s-Hertogenbosch, the diocese has been run by diocesan administrator Fr. Peter Wellen, vicar general under the previous bishop, and general delegate Fr. Arjen Bultsma, formerly the episcopal vicar for Fryslân and the Noordoostpolder. Bishop-elect van den Hout was informed about his appointment last week, and accepted it on Wednesday. His initial reaction was hesitant, but he realised that it was “something that had come his way, and I was obliged to cooperate gladly”. ^The new bishop, at left, receives a welcome present from diocesan administrator Fr. Peter Wellen. As for the future, the new bishop sees himself as a man of the parish. “The life of the Church must be realised in the parishes,” he said. “The faithful must take their baptism seriously, while the diocesan curia serves to support this.” As yet unfamiliar with his new diocese, the bishop-elect intends to start visiting the parishes soon after his consecration, which is scheduled for 3 June. Asked about his predecessors and how he compares to them, Msgr. van den Hout said that he simply wants to be himself, to be there for the people. He hasn’t taken up a position on how the diocese should be run, as this depends on the specific local situation. He is curious and open about the Catholic life in the parishes of his new diocese, and will make any decisions based on what he finds. *Statistics date from 2008. The expectation is that the actual and current numbers are lower). To rise from the dunes of Schiermonnikoog in 2018, the monastery of the Cistercian monks who arrived on the island last year has taken shape. On paper at least. The largely one-level building while have room for a maximum of fourteen monks, while the tower , centered over the chapel, reaches a height of almost fourteen meters. A large window at the top channels natural light down into the building. While he would have preferred a building with a smaller profile, Abbot Alberic explains that that tower was an express wish of the island’s inhabitants. If anything, it shows the goodwill that the monks have created on Schiermonnikoog. This should help in winning the council and province’s permission to buy the ground for the monastery. Currently it is in the possession of nature protection agency Natuurmonumenten and used as a horse paddock. The monks hope to complete the paperwork over the course of this year, after which construction can begin in 2018. The building will be constructed of natural materials wherever possible, and it will be fitted with solar panels, making it energy neutral. As per the Cisterican tradition, the monks will live a life of prayer and not involve themselves with life on the island. In order to be self-sufficient, the monks are exploring options to work with local farmers in the production of biological cheese. With most of the island being a natural park, there is no room for a garden in which to grow fruit and vegetables.